Juventus will reportedly look to sell Alex Sandro this summer in order to fund their swoop for Real Madrid stalwart Marcelo. 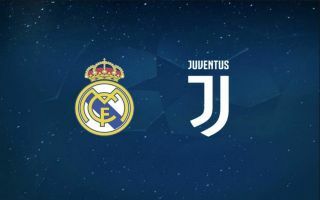 The two clubs are fresh from doing business together last summer with Cristiano Ronaldo joining the Italian giants after a trophy-laden stint at the Bernabeu. A year on, it looks as though he could be reunited with one of his former teammates, with Tuttosport claiming that they will launch a €45m raid for Marcelo, with Alex Sandro set to be sold in order to fund the move. It’s arguably a risky move from the reigning Serie A champions, as their current Brazilian left-back has firmly established himself as a fundamental figure in their success. Sandro has made 142 appearances since joining from Porto in 2015, going on to win three Serie A titles, three Coppa Italia trophies and a Supercoppa in the time since. In turn, it could be argued that Juventus should avoid making any unnecessary changes which could disrupt the balance in the squad, but Marcelo isn’t short of trophies and a winning pedigree himself. The report goes on to suggest that the Real Madrid stalwart wants the move to Italy, and so it remains to be seen whether or not the touted offer is enough to convince the Spanish giants to sell as they’ll need to use that fee to find a replacement of their own. Nevertheless, from a Juventus perspective, reuniting Ronaldo with Marcelo after their impressive and successful partnership in the Spanish capital could certainly take them closer to maintaining their domestic dominance, while also attempting to end their wait for glory in Europe. What is arguably clear though, is that they will have to ship out Sandro first, as the two Brazilian left-backs in question will surely both want to be the regular starter.